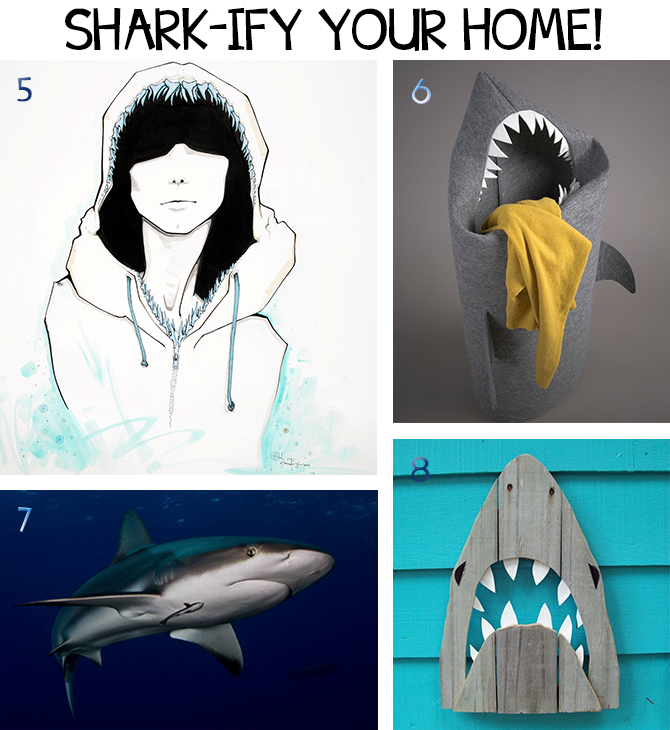 This is the first Shark-ify Your Life post, but in the future, you can check out all of them here! 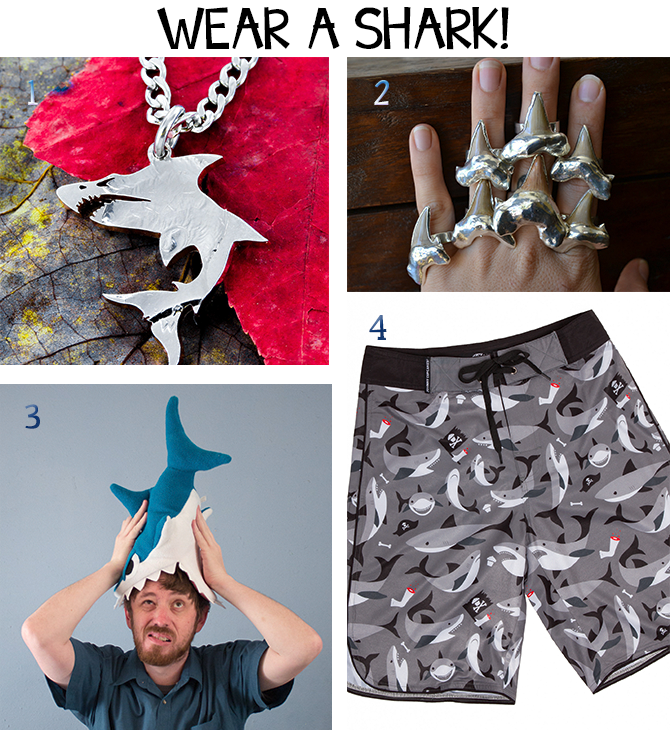 And, by all means, feel free to share any cool shark-related items/articles with me - they may end up in a future post! Note: All images belong to the owners linked below them. Okay, that shark basket is super cool! Haha yes! Cats and sharks - I like how you think. Though I am mostly a fan of big wild cats 'cause I like predatory animals. Haha. :) I want to see a pic of the inflatable shark!